Gianna Rose Soap and Drawer Liners | P.C. Fallon Co.
Look to Gianna Rose Atelier for exquisite, artisan-made soaps and gifts packaged in artful, charming packaging. The small-batch soaps are made in the USA using the finest natural botanical extracts and pure, rich emollients. All soaps are 100% vegetable based. Gianna Rose Atelier soaps are perfectly packaged to be an ideal gift. The beauty of Gianna Rose soaps is more than skin deep. 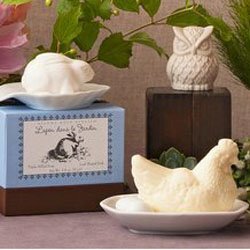 All soaps are 100% vegetable based and triple-milled to be pure and long-lasting for the bath. Whether you prefer the romantic or the whimsical, you will find a lovely gift for a special someone or a splendid treat for yourself.